BURLINGTON, Vt. — Two medical groups have filed a federal lawsuit to challenge language in the Vermont’s assisted suicide law that they believe requires physicians to counsel patients about ending their lives. The Vermont Alliance for Ethical Healthcare and Tennessee-based Christian Medical and Dental Association were represented in the suit on Tuesday, along with several doctors in the state who are concerned about how the government interprets the “Patient Choice and Control at End of Life Act,” also known as Act 39. Therefore, a number of doctors who are concerned about their oath to “do no harm” have now filed a legal challenge against the requirement, including Drs. Rachel DiSanto and Dr. Brian Kilpatrick, as well as hospice nurse Lynn Caulfield. “This is nothing but the redefinition of ‘palliative care’ to mean providing assisted suicide, an intolerable position for Plaintiffs and other conscientious physicians and healthcare professionals,” the legal complaint reads. 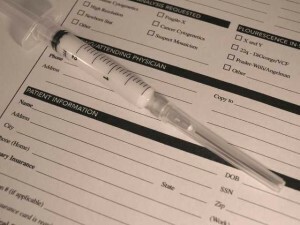 “Plaintiffs, state and national associations of conscientious healthcare professionals whose personal and professional ethics oppose the practice of assisted suicide, bring this action on behalf of their members against the operation of Act 39 to force them to counsel and/or refer for the practice,” it outlines. The groups and physicians are seeking an injunction against the enforcement of the law, as well as declaratory judgment that the state’s interpretation of the law violates the U.S. Constitution. The assisted suicide advocacy group Compassion and Choices Vermont told the outlet Seven Days that they support the requirement. “Physicians should not impose their personal ethics and values on their patients and deny their legal right in Vermont to receive information about all of their end-of-life care options so they can make an informed decision about their treatment options,” Director Linda Waite-Simpson stated.